Overview: This generation wants sensational technologies and entertainments, but people really need a physically and mentally healthy lifestyle on this planet. 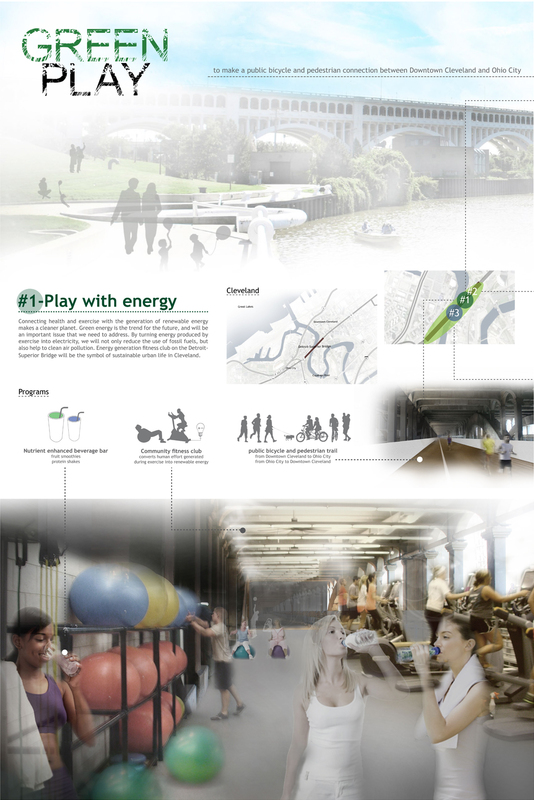 Green Play will help make a better environment for the people of Cleveland. Connecting health and exercise with the generation of renewable energy makes a cleaner planet. Green energy is the trend for the future, and will be an important issue that we need to address. By turning energy produced by exercise into electricity, we will not only reduce the use of fossil fuels, but also help to clean air pollution. Energy generation fitness club on the Detroit-Superior Bridge will be the symbol of sustainable urban life in Cleveland. Wind turbine installations on each window of the bridge will help light up the city of Cleveland by generating electricity. 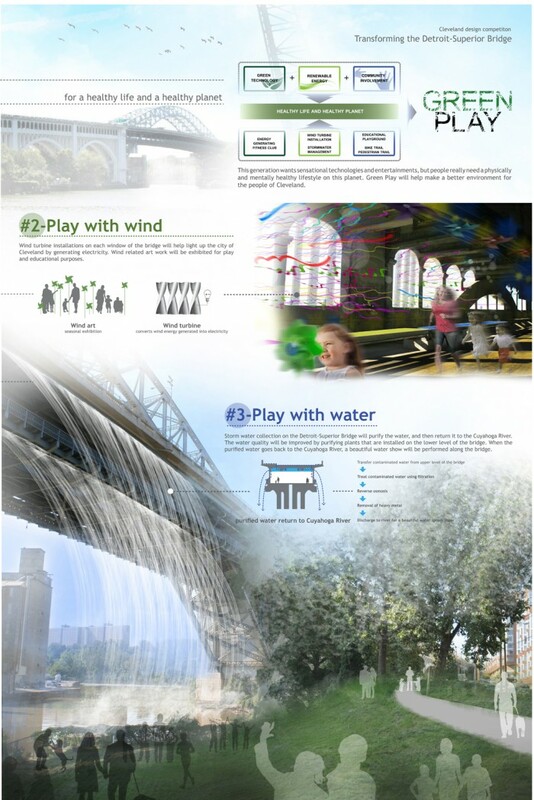 Wind related art work will be exhibited for play and educational purposes. Storm water collection on the Detroit-Superior Bridge will purify the water, and then return it to the Cuyahoga River. The water quality will be improved by purifying plants that are installed on the lower level of the bridge. 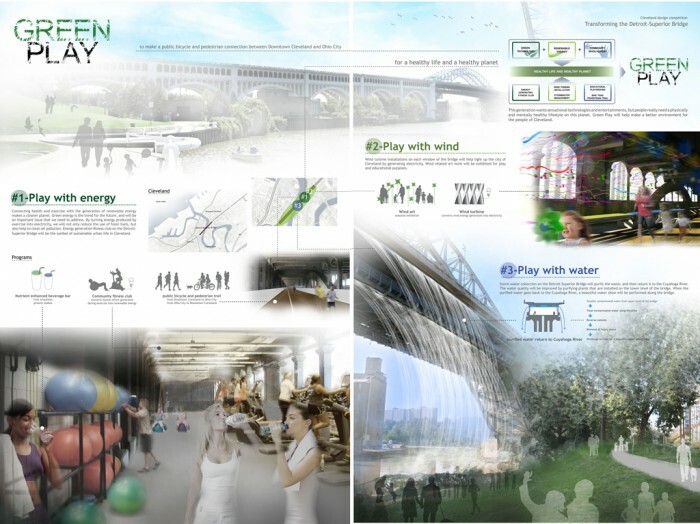 When the purified water goes back to the Cuyahoga River, a beautiful water show will be performed along the bridge.